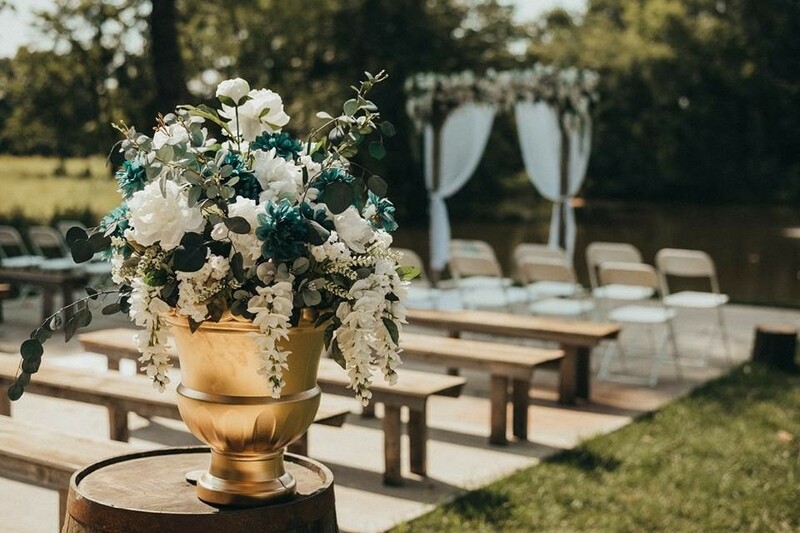 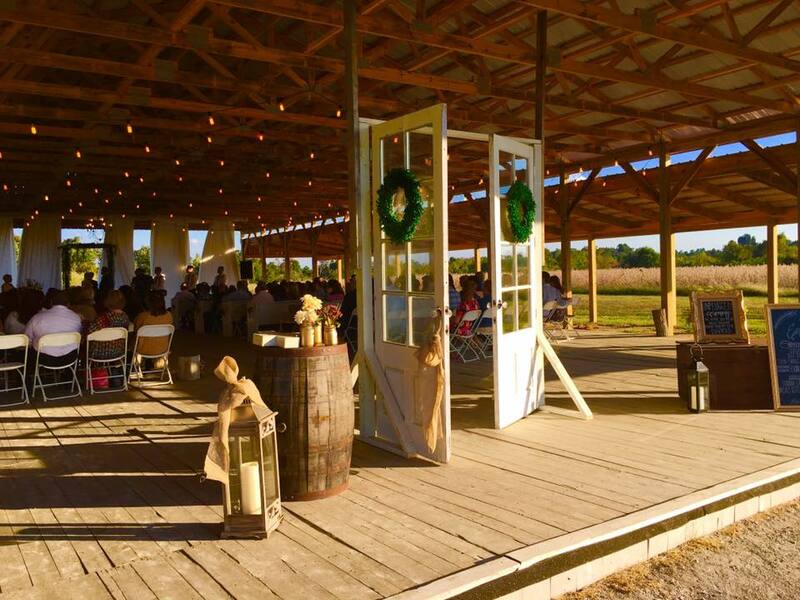 On Burdoc Farms, we have two unique outdoor areas that provide very different settings for your wedding ceremony. 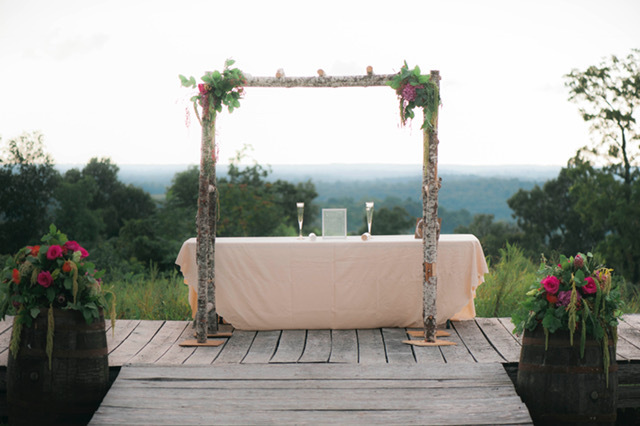 The gazebo is nestled in the woods that opens up to a beautiful green area and open field to sit your wedding guest. 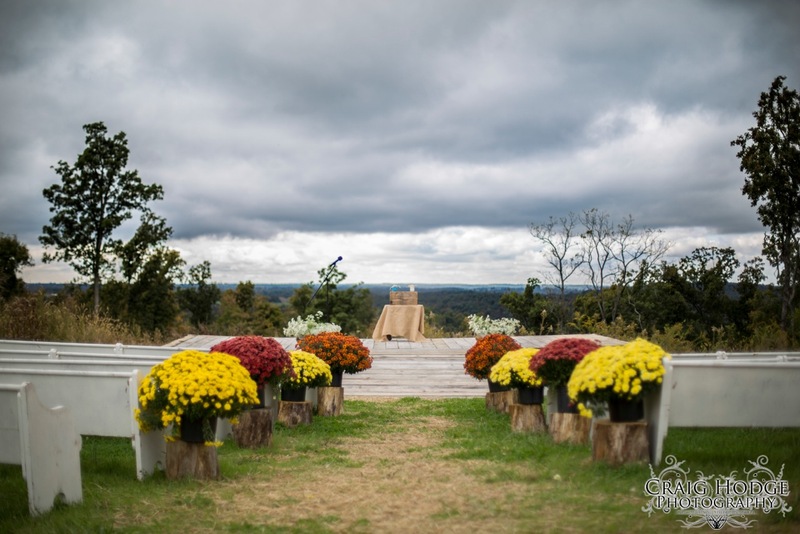 The Overlook Platform with fantastic views of the Western Kentucky hills will make you feel like you are in the mountains. 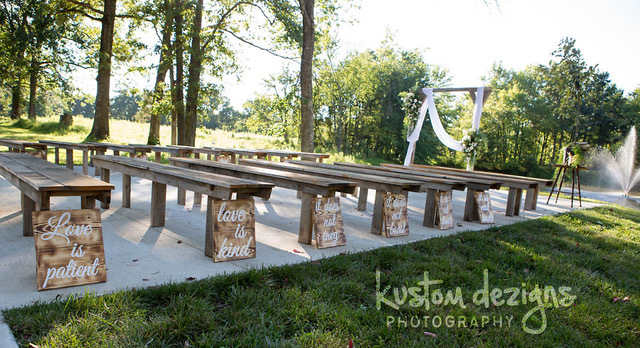 Church pews or white wood chairs can be used for seating at both areas. 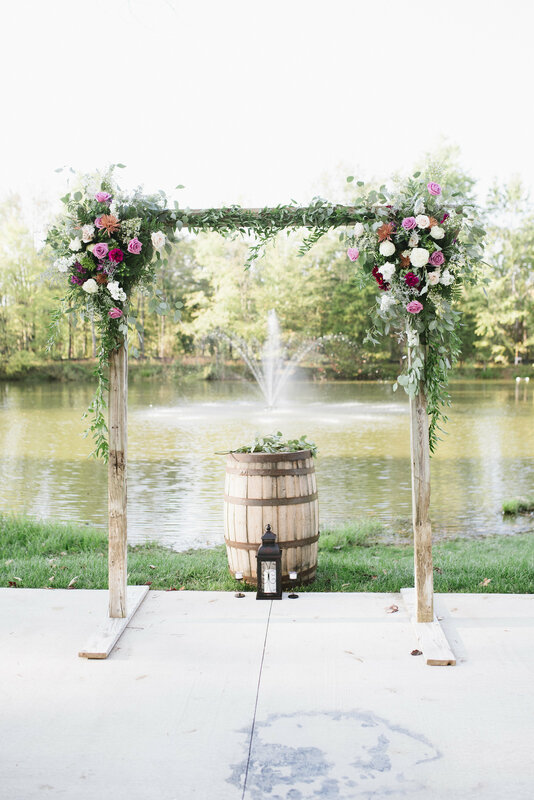 If nature is your passion then these are the perfect settings for your ceremony. 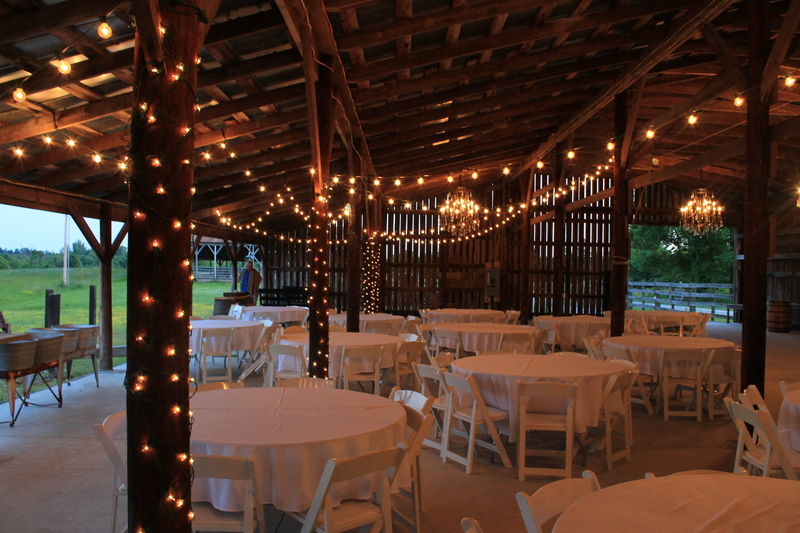 The Chapel barn is our plan “B” if Mother Nature decides not to cooperate with us on your wedding day. 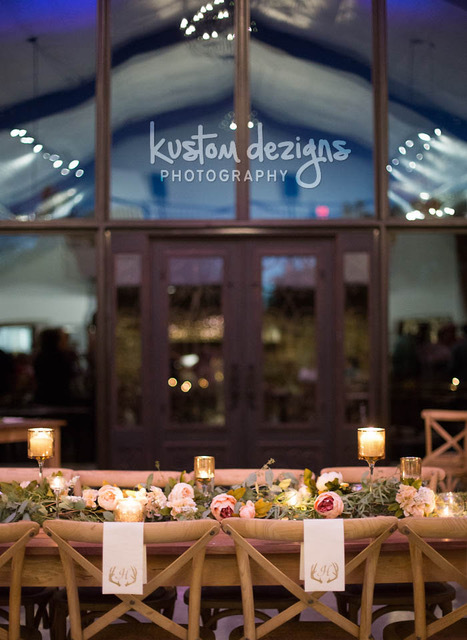 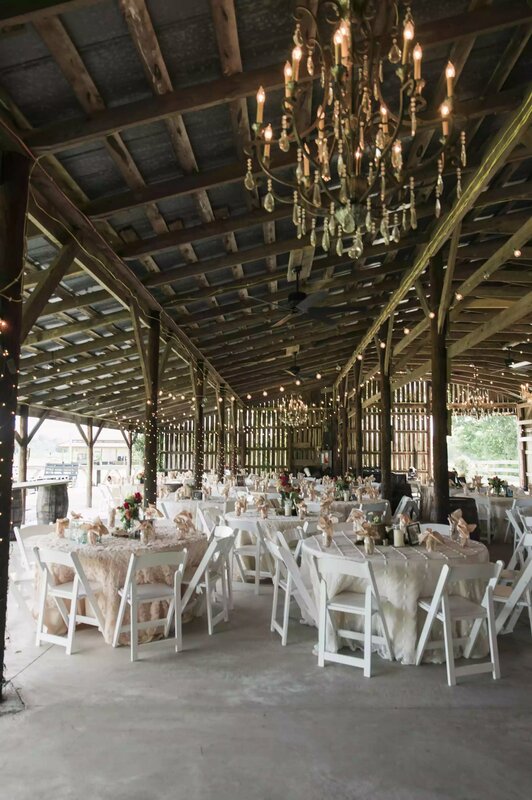 The 4000 square foot barn has natural wood floors, wooden beams, a tin roof, Edison string lightening that enhances the natural beauty of the barn and a chandelier to add some elegance. 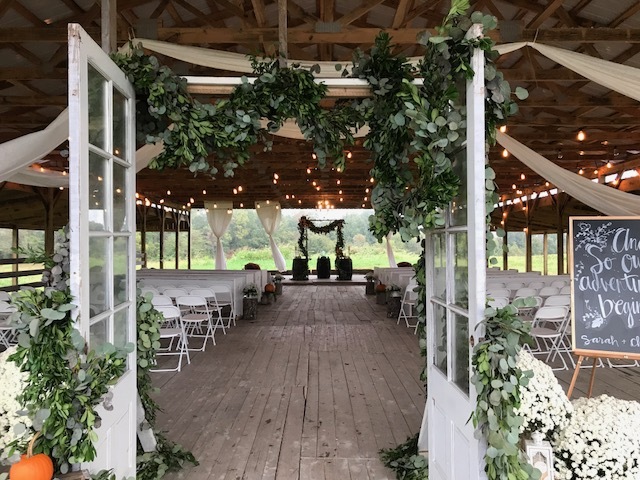 With old church pews, an arch and many other natural features, you might want to get married here whatever the weather maybe. 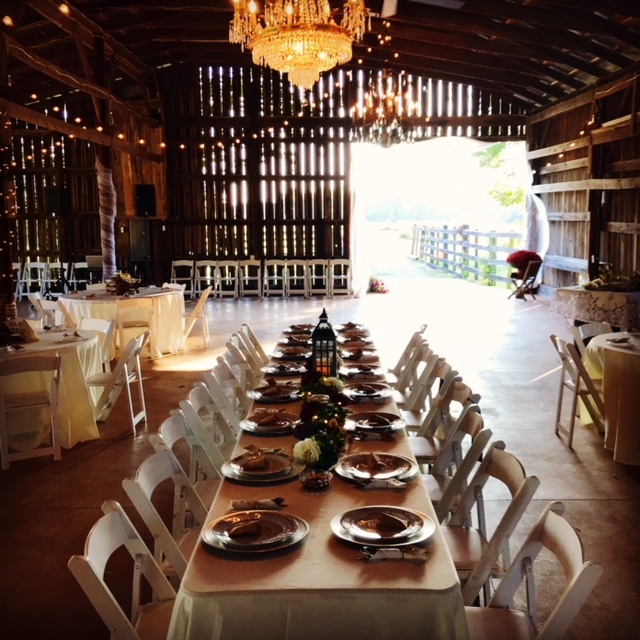 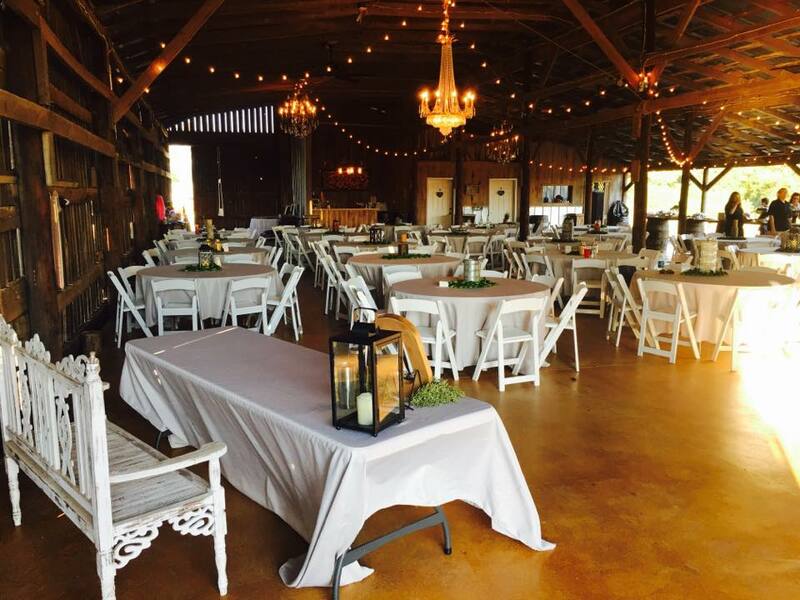 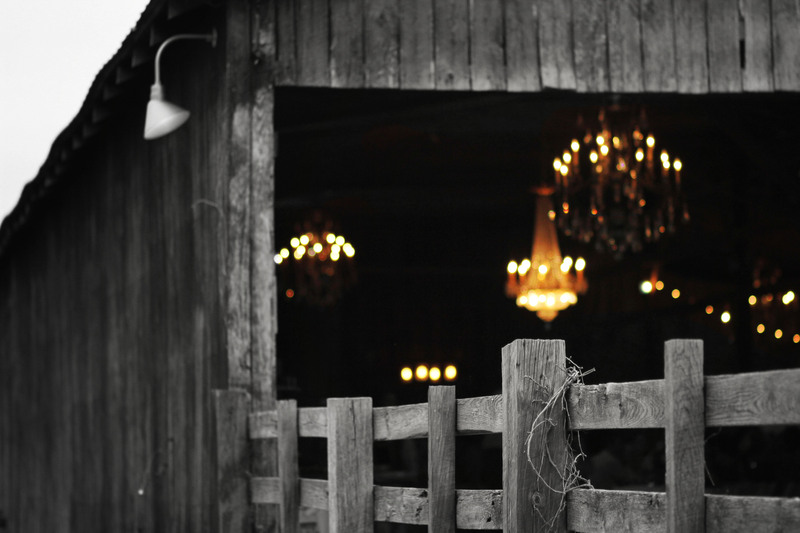 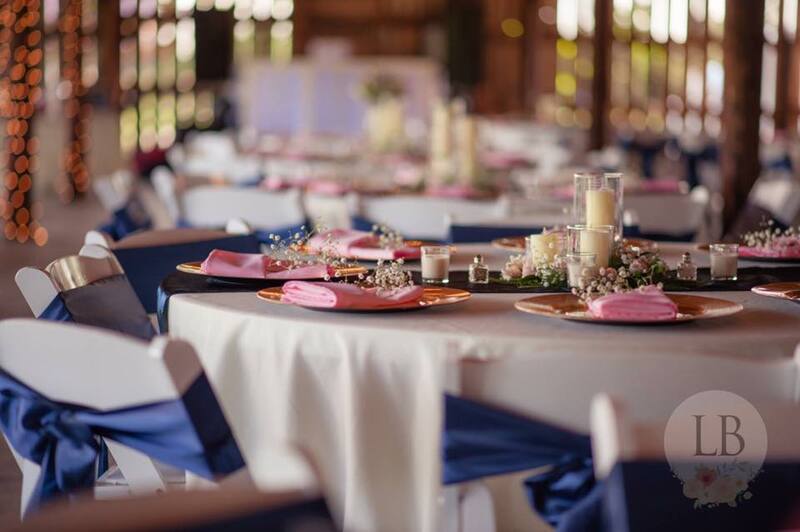 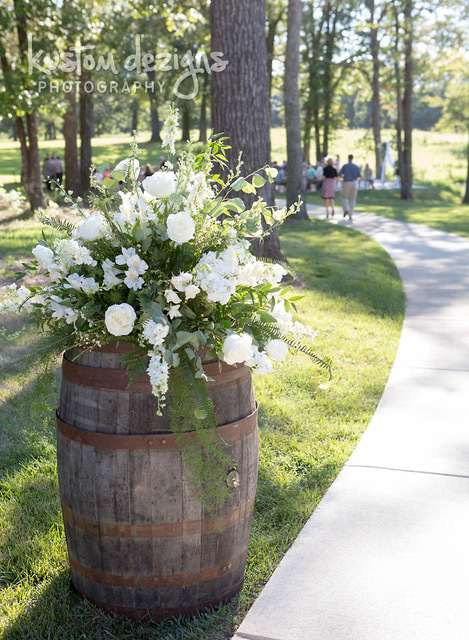 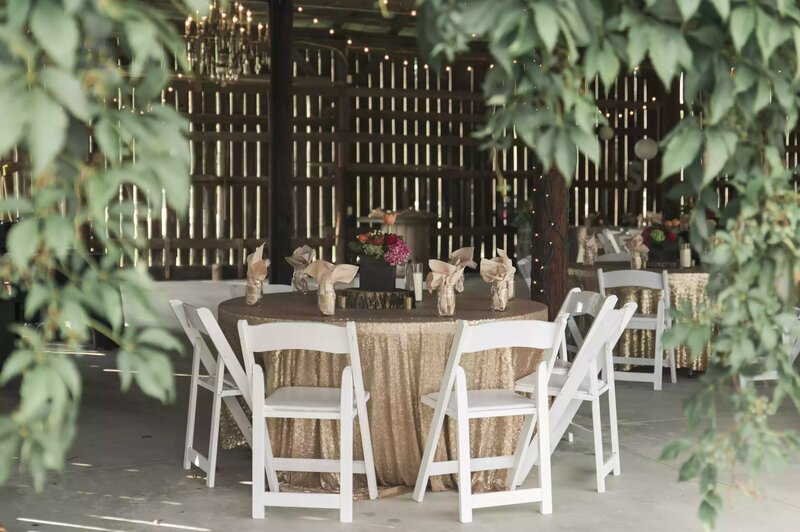 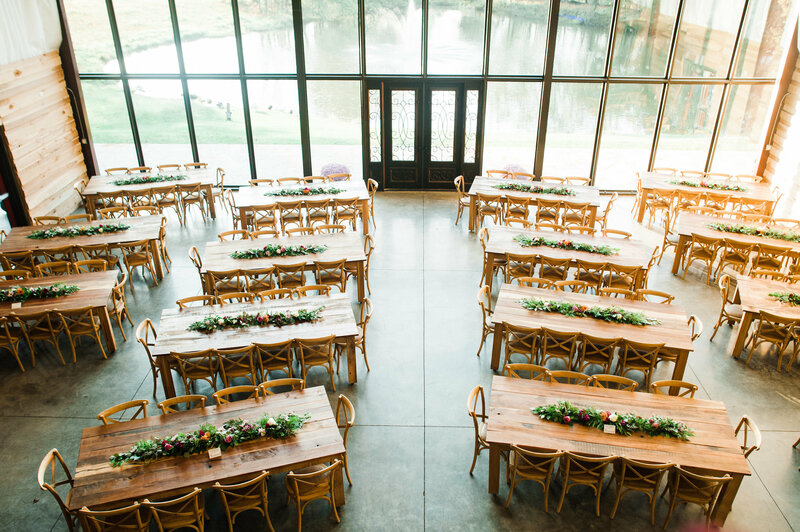 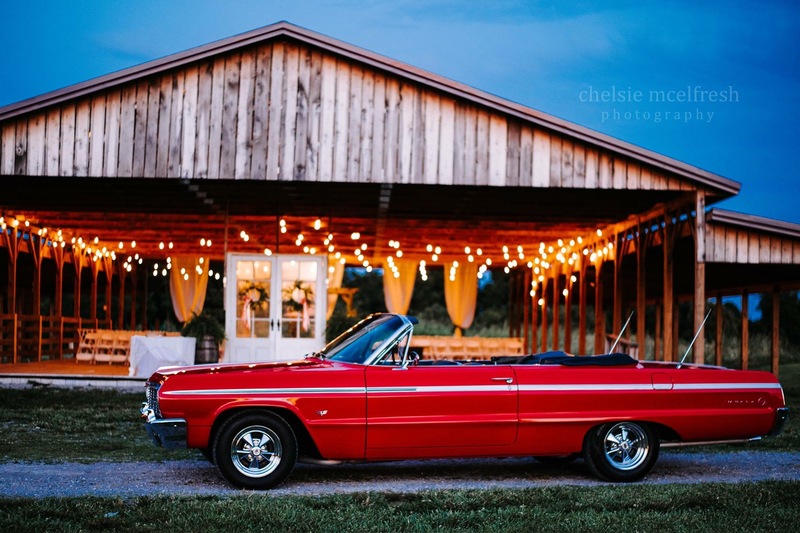 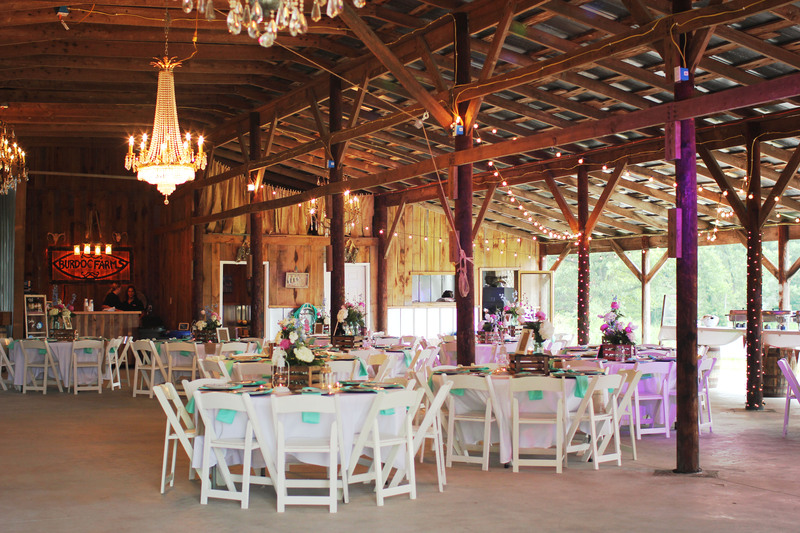 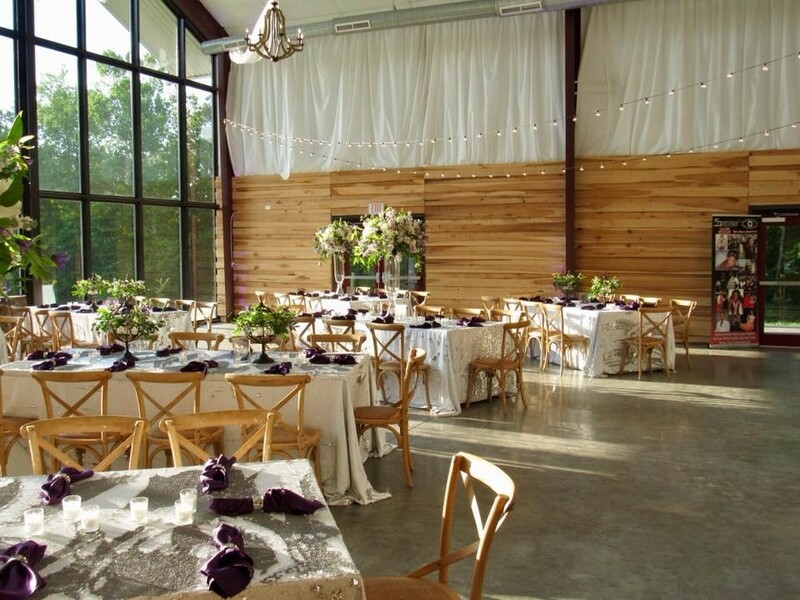 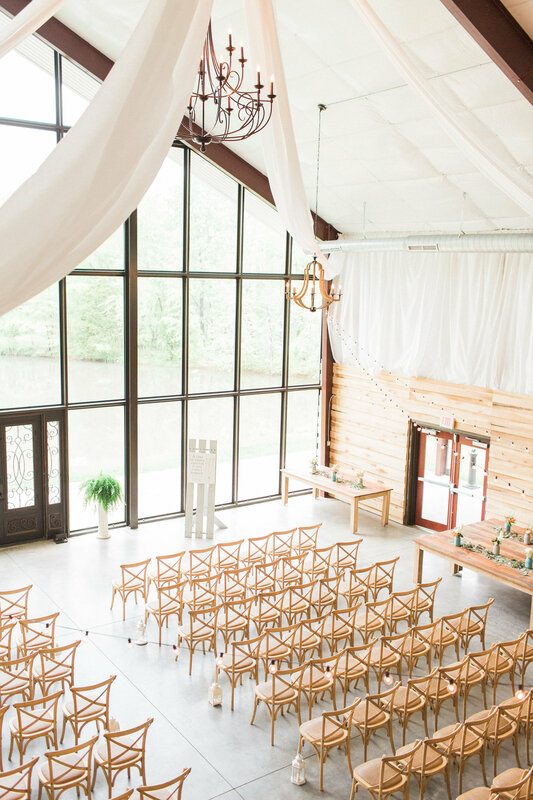 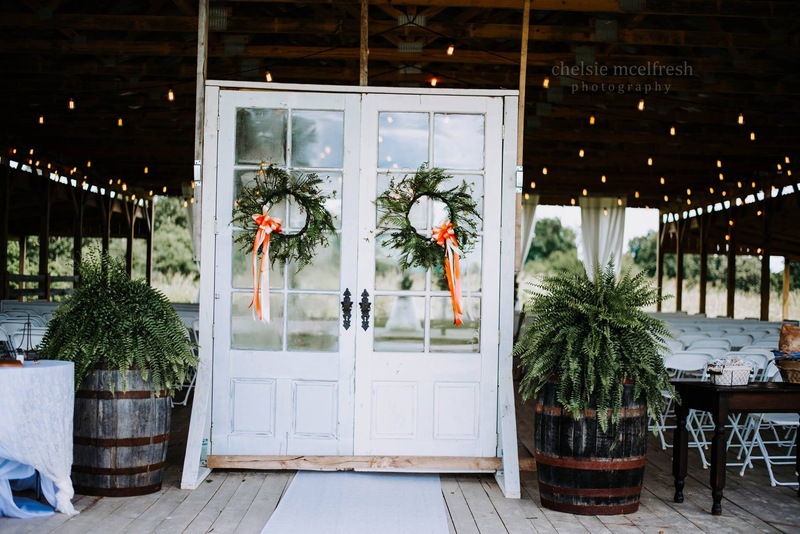 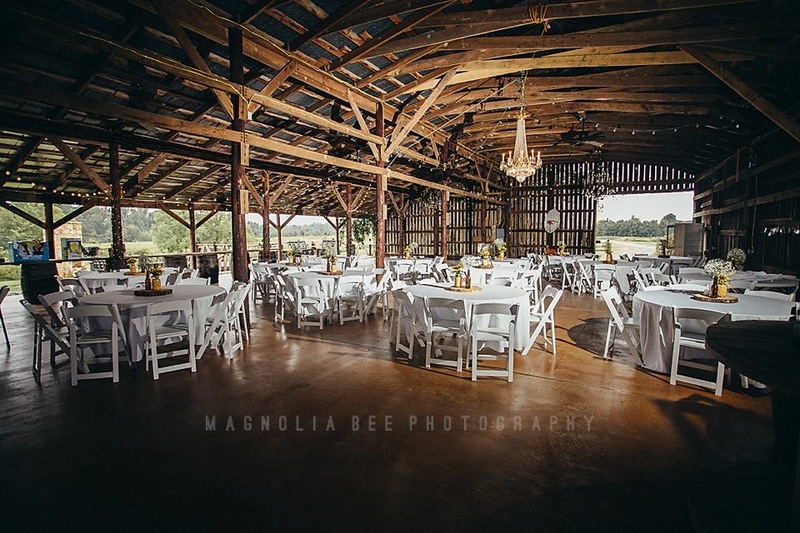 The Tobacco barn provides a rustic but elegant setting for your wedding reception. 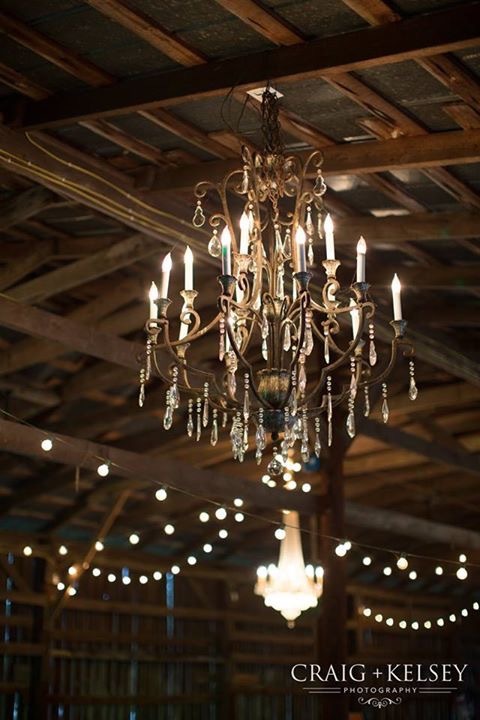 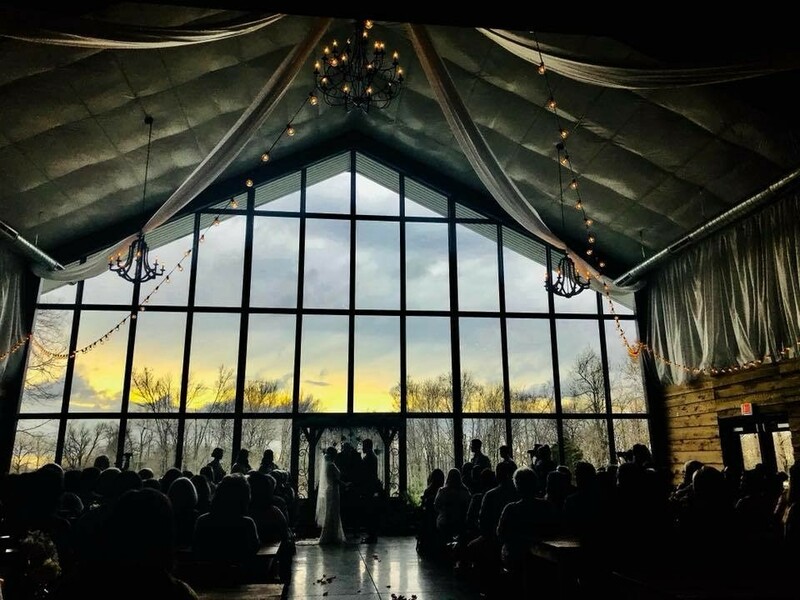 This 4000 square foot barn boast five grand crystal chandeliers and Edison bulb string lights hang in the barn to provide that special fairytale mood every bride wants on her wedding day. 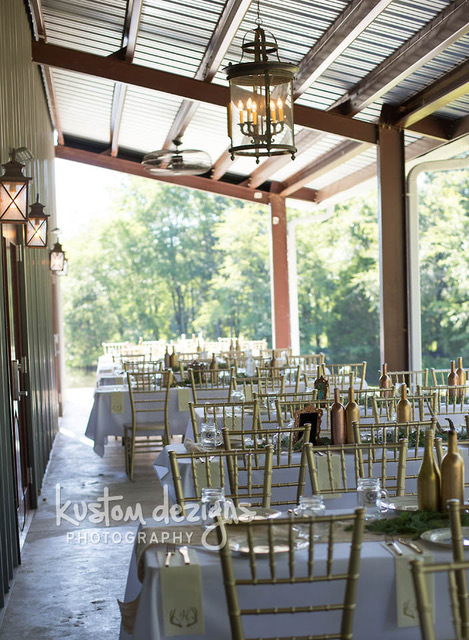 There is a cool bar area for the guys to hang out, as well as a deck on the back of the barn where guest can relax on handmade pallet furniture that overlooks a pond. 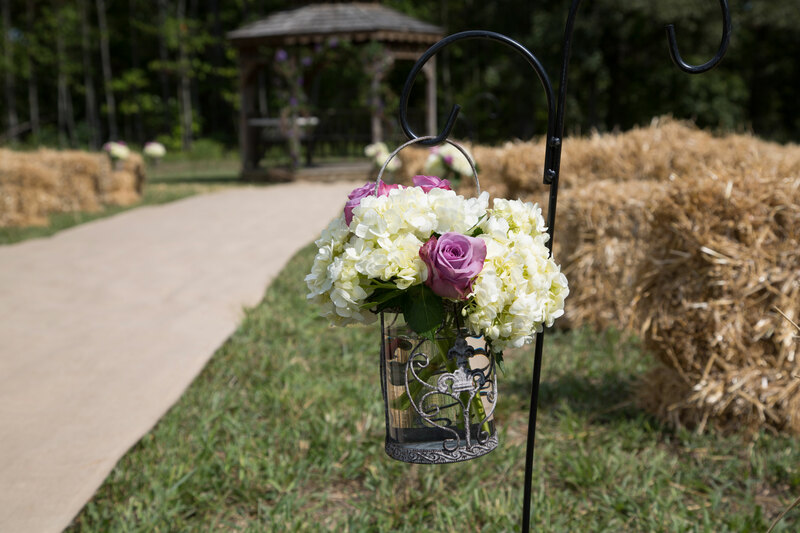 Off the deck is the most unique feature at Burdoc Farms. 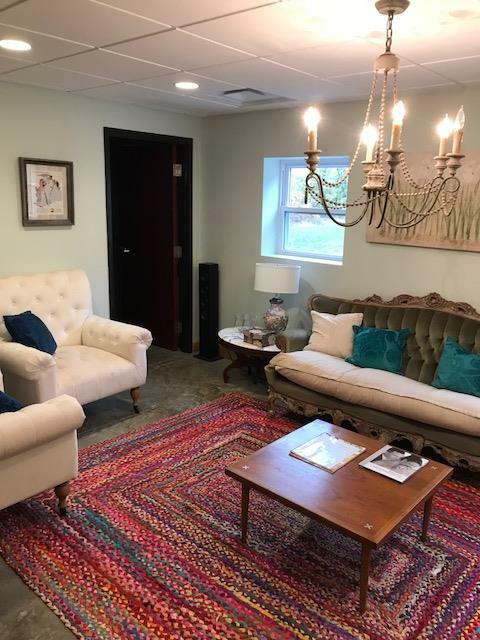 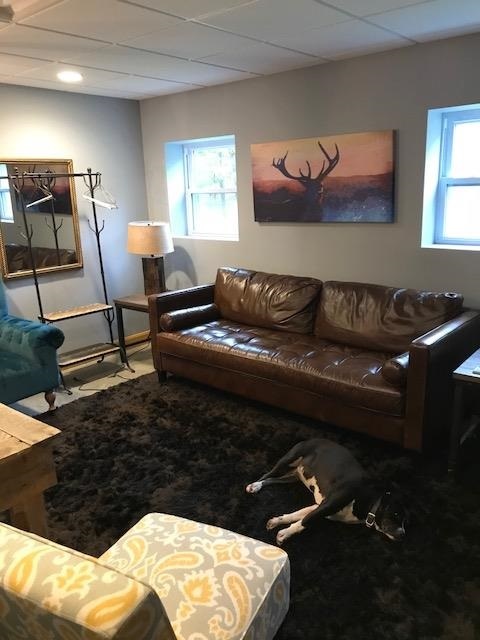 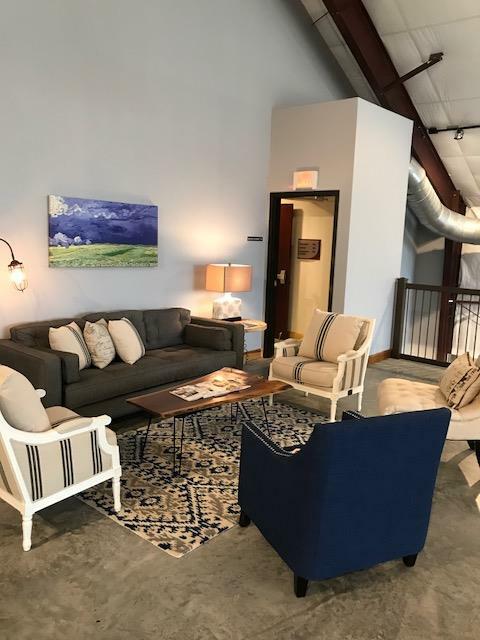 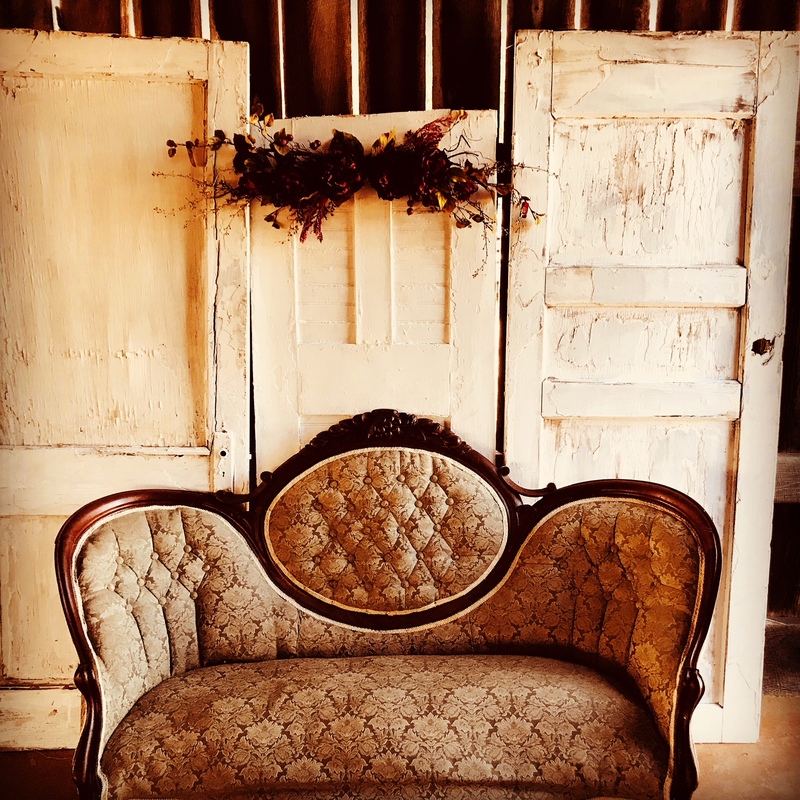 With a nice patio area that provides additional space for your guest to hang out and relax, you will find the 150 year old fireplace that was found on the family farm back in the 50’s. 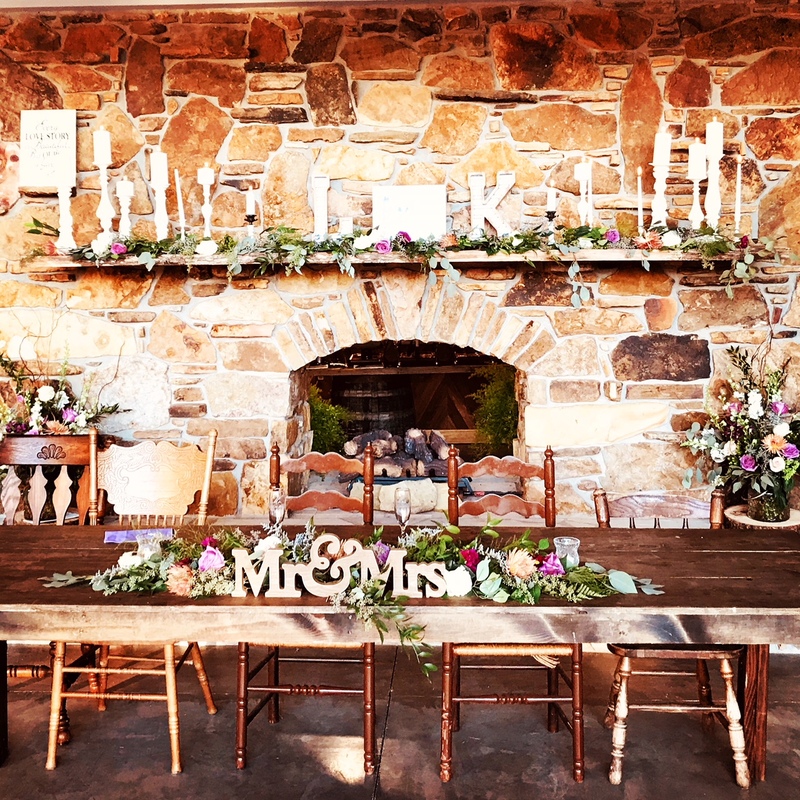 What was once an old homestead, the handcut sandstone rock fireplace was all the remained of the home. 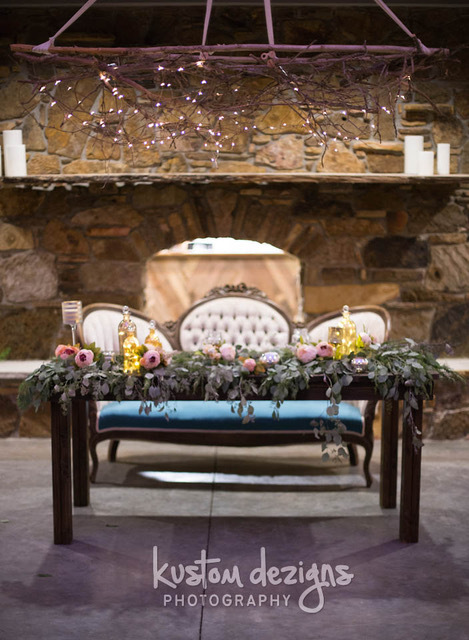 The fireplace was dismantled then rebuilt at the barn for everyone to enjoy its rich history and testament to the early settlers of the area. 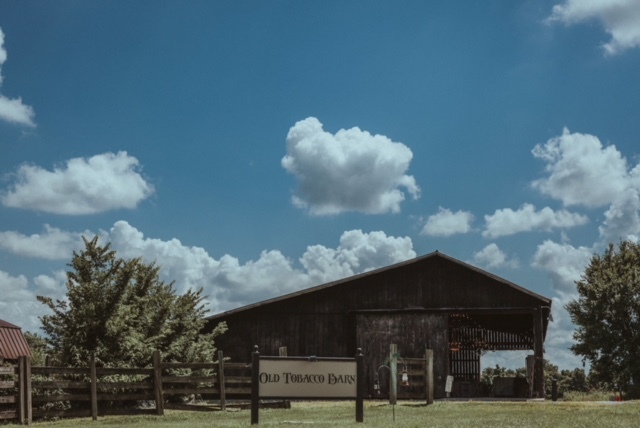 Keith Glen is the newest addition to Burdoc Farms. 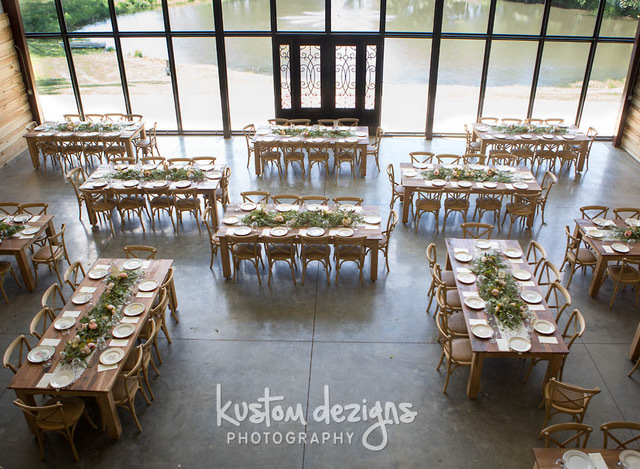 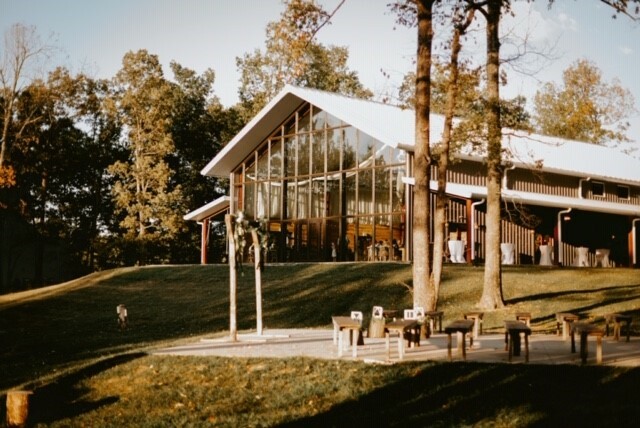 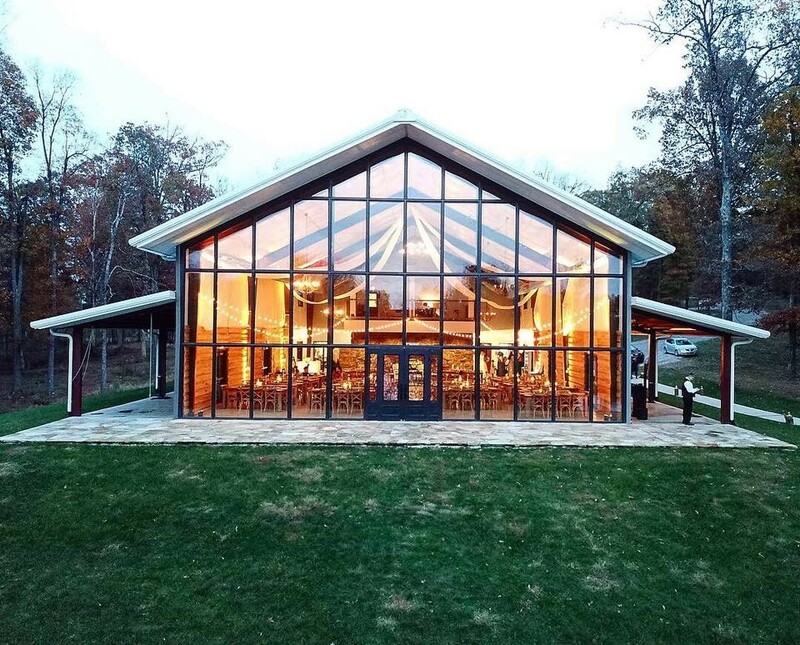 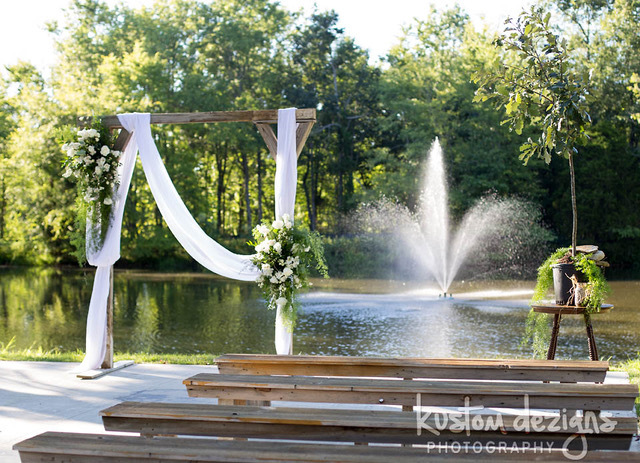 The venue is in the woods by a pond with a lighted fountain, surrounded by fields and forest. 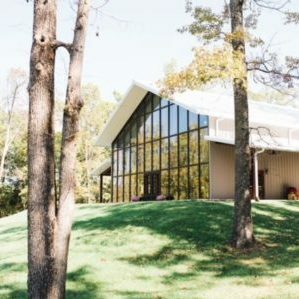 With a more modern look and feel you can still enjoy the natural beauty of Burdoc Farms because of the wall of glass that faces the pond and woods. 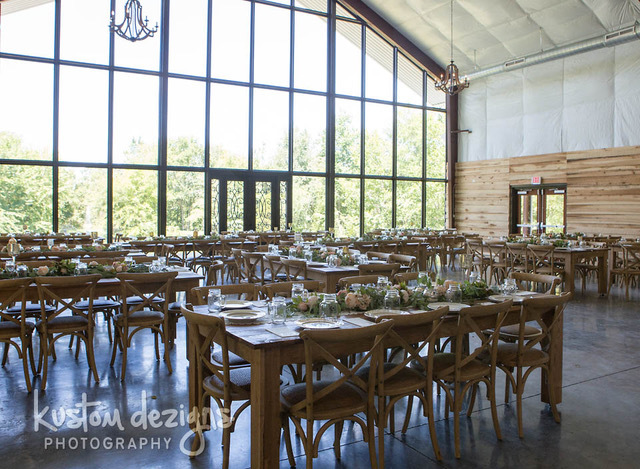 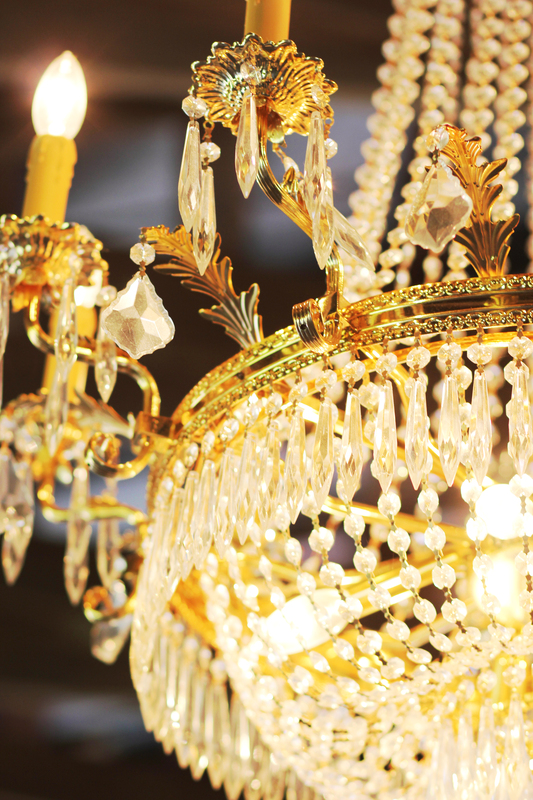 Chandeliers, a copper bar top, natural wood farm tables and natural stone fireplace adds to the beauty of the building.